The Japanese Knowledge Network (JKN) is a group of over 20 organisations sharing knowledge on topics critical to accelerating carbon capture and storage (CCS) in Japan. 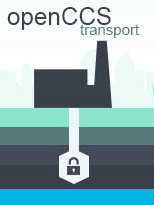 A key task of the has been to create a framework for communicating CCS to the general public. 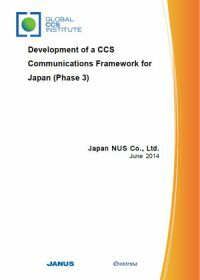 This report presents the findings of the third phase of the 'Development of a CCS Communications Framework for Japan’ project. 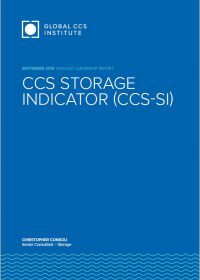 It is a detailed analysis of the tools and methodologies developed by the network to communicate CCS in an accurate and accessible way. The framework was tested with a group of Japanese citizens who critiqued the information and its delivery for relevance and effectiveness. This report is authored by Japan NUS Co. Ltd. (JANUS), partnered by Quintessa Japan, and supported by Global CCS Institute. Based on the outcomes of our study, the GDCCSR project has shown the necessity, and provided feasible solutions, for the development of CCS and CCSR in Guangdong, and drafted a roadmap that includes action plans and policy recommendations. We would like to share our experience in promoting regional CCS developments, enhancing knowledge exchange, and building up local expertise. 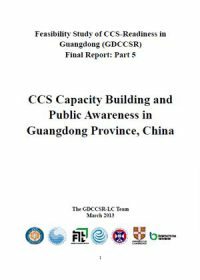 In order to implement CCS in Guangdong and other parts of China in the future, we consider that extra work is required to disseminate the findings of this project more widely. 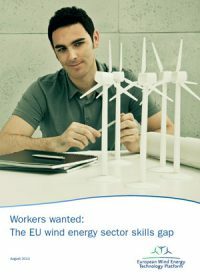 The capacity building activities, based on experiences from other researchers, were usually focussed on: workshops; personnel exchange programs; technical assistance for planned pilot CCS activities; information exchange; facilitation of technology transfer; training programs; study tours on regulations and standards; summer school programs; information and knowledge sharing programs; support for feasibility studies; and providing opportunities for engineers to work on CCS demonstration projects. The GDCCSR project team has been working on various activities in Guangdong, such as CCS meetings & workshops, information and knowledge sharing websites & blogs, information exchange with experts from industrial companies, visiting power plants etc. In the future, we are aiming to take further action and employ other methods to continue capacity building activities. There is an agreement reached in China that CCS should be regarded as an important backup low-carbon technology worth more preliminary research. However, the application of CCS in Guangdong depends on the energy usage and model of the province. Therefore an analysis of Guangdong's energy usage and CO2 emission is helpful to decide whether Guangdong needs to explore utilising CCS technology. 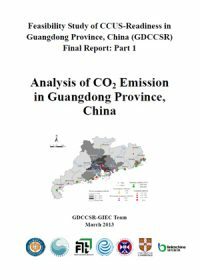 In this report, we first assessed the energy consumption and CO2 emission status of the Guangdong Province based on published data. Then the emission characteristics and trends of major point sources are analysed. Finally the source to sink match analysis is carried out. All these will provide bases for the feasibility study of developing CCS in Guangdong and for compiling the CCS development roadmap for Guangdong. 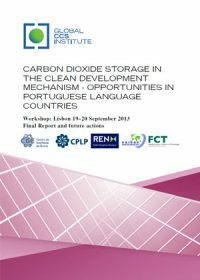 The first workshop about cooperation on carbon dioxide capture and storage (CCS) among the community of Portuguese language countries (the CPLP) was held in Lisbon, on the 19th and 20th of September 2013, at the CPLP headquarters. The workshop focused on the dissemination of knowledge about CCS, discussion around the current stage of development of the technology and identification of opportunities for cooperation among the CPLP countries. The programme of the workshop is included in Annex A. 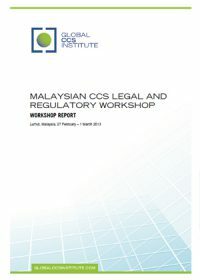 The CCS legal and regulatory workshop was held in Lumut, Malaysia, on 28 February–1 March 2013. The workshop aimed to identify how a CCS project would be regulated under existing regulatory pathways in Malaysia. The analysis will help identify regulatory gaps, overlaps and areas to be improved for a potential CCS project to go ahead in Malaysia in the future. The workshop focused on identifying issues for, and suggesting approaches to, further discussion. This report focuses on bioenergy in Africa, as this form of renewable energy represents almost 50% of the total primary energy supply for the African continent, and more than 60% of the Sub-Saharan TPES. Bioenergy is a strategic asset for Africa’s energy future and needs to be assessed in a transparent manner. 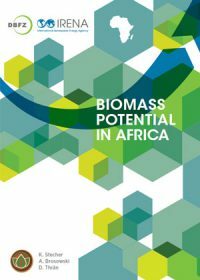 At IRENA’s behest, the German Biomass Research Centre has collected recent studies assessing bioenergy potential in Africa, compared their various methodologies, benchmarked the results, and identified the key dimensioning elements for those assessments. With the energy systems of many African countries dominated by fossil-fuel sources that are vulnerable to global price volatility, regional and intra-continental power systems with high shares of renewable energy can provide least-cost option to support continued economic growth and address the continent’s acute energy access problem. Unlocking Africa’s huge renewable energy potential could help to take many people out of poverty, while ensuring the uptake of sustainable technologies for the continent’s long-term development. 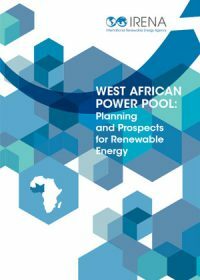 This report examines various scenarios for accelerated renewable energy uptake, based on a modelling tool developed by IRENA and tested with assistance from the Economic Community of West African States (ECOWAS). Initial results from the System Planning Test model for West Africa covering all continental ECOWAS countries, show that the share of renewable technologies in the region could increase from the current 22% of electricity generation to as much as 52% in 2030, provided that the cost of these technologies continues to fall and fossil fuel prices continue to rise. In this scenario, nearly half of the envisaged capacity additions between 2010 and 2030 would be with renewable technologies. 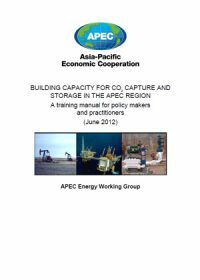 This APEC training package is designed to assist APEC member economies to understand the potential of CO2 Capture and Storage (CCS), as well as the science and process involved in identifying and implementing a CCS project. openCCS is the handbook for delivering CCS projects brought to you by the Global CCS Institute. It has been built to guide you through the key processes and steps needed to deliver each component of an integrated CCS project. It’s a platform for sharing methodologies, best practices and lessons learnt from experience. openCCS is the Global CCS Institute’s project delivery handbook. It has been built to guide you through the key processes and steps needed to deliver each component of an integrated CCS project. It’s a platform for sharing methodologies, best practices and lessons learnt from experience.